Help me to move by myself. Movement brings your child in touch with the world around him. He learns through everything he sees, touches, smells, tastes and hears. Being allowed to explore the things he finds around him helps to make those very important connections in his brain. Your child was born to move and helping him to move freely right from the moment of birth is vital to the building of his intelligence. Create an environment with things that will encourage your child to move. Put your child in touch with these things. Allow time for him to practise moving at his own pace and rhythm. You can help your baby become familiar with how his body moves right from birth. You do not need to wait until he can crawl. Click on the links to find out more about helping your baby to move freely. 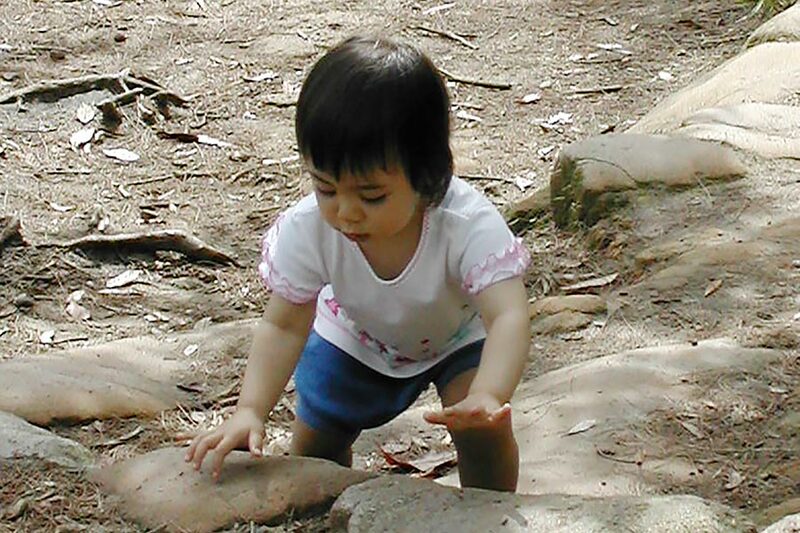 Babies have natural energies that will help them to learn how to crawl and walk. Click on the links to find out how you can harness your child's natural energies and motivation to help him to crawl and walk for himself. Once your child can walk he needs to spend as much time as possible doing it. Click on the links to find out how you can help your child to practise walking.